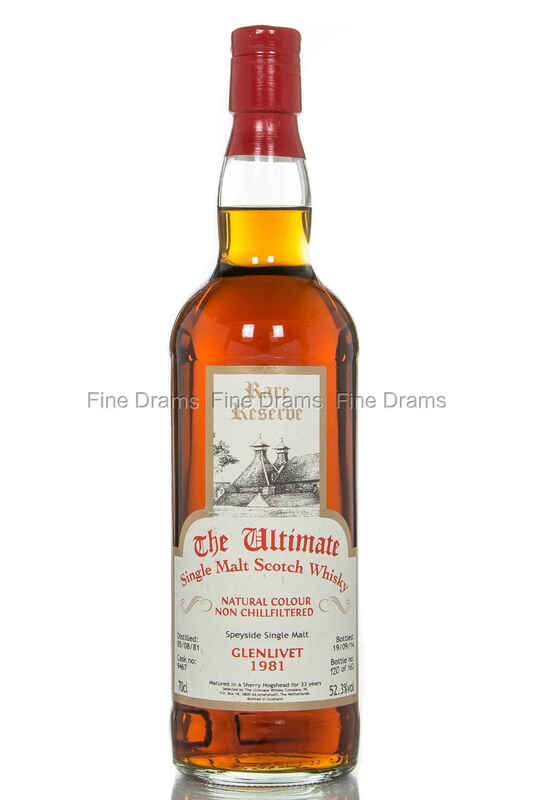 A 1981 vintage of Glenlivet single malt whisky, bottled by Dutch independent bottler, The Ultimate Whisky Company. This whisky is 33 years old, on was distilled on the 5th of August, 1981, and bottled 19th of September, 2014, from sherry hogshead #9467. It is presented at cask strength, 52.3% ABV, with no chill-filtration or added colouring. The total outturn was of 162 bottles.